Lots of musicians are given proposals, but not always quite like this. Maybe the music has inspired men to get down on one knee at Ryan Montbleau’s shows. With his heartfelt lyrics setting the tone, Montbleau’s songs have created a backdrop to over six marriage proposals in the last ten years. Lyrics like “I want to fall in love…I want to learn to love everything” from his song “Chariot” make it easy to imagine why Montbleau’s music has brought couples together. Just last week Montbleau had two proposals at one show. “They wanted us to be a part of that moment for them,” he said. Thoughtful lyrics like those that stretch across the love song “Chariot” have wed Montbleau to a devoted following, a faithful fan base accumulated over his ten-year career as a professional artist. Montbleau writes with raw emotion and his honesty seems to draw people in. “Maybe it’s the simplicity of it,” he added. And yet the word simplicity – though perhaps offered out of modesty – is wide of the mark. Montbleau’s music is anything but simple. Montbleau hails from Peabody, Mass. It was there, at the age of eight, he was given his first guitar. Yet it wasn’t until he was studying at Villanova University in Pennsylvania that Montbleau began singing and playing guitar with a view to a musical career. The chemistry he makes with his audience may be different from what he did in the lab as a chemical engineering major, but then again there’s a reason the language of love is described in the terms of chemistry. Each year Montbleau and his band of six Boston-based musicians average 160 to 200 shows. He has no plans to slow down. It seems for Montbleau, his earnest and drive has paid off. Montbleau is inspired by a melting pot of influences that translate into his music. His eight albums show a tremendous amount of range in genre and sound by combining a mix of reggae, blues, and folk into a smooth and soulful genre of its own. Perhaps because of the diversity of his sound and eclectic nature of his influences, Montbleau believes picking only one favorite song from his discography would be like asking a parent to pick a favorite child; but he confesses he often feels a strong attachment to whichever song is his newest creation. 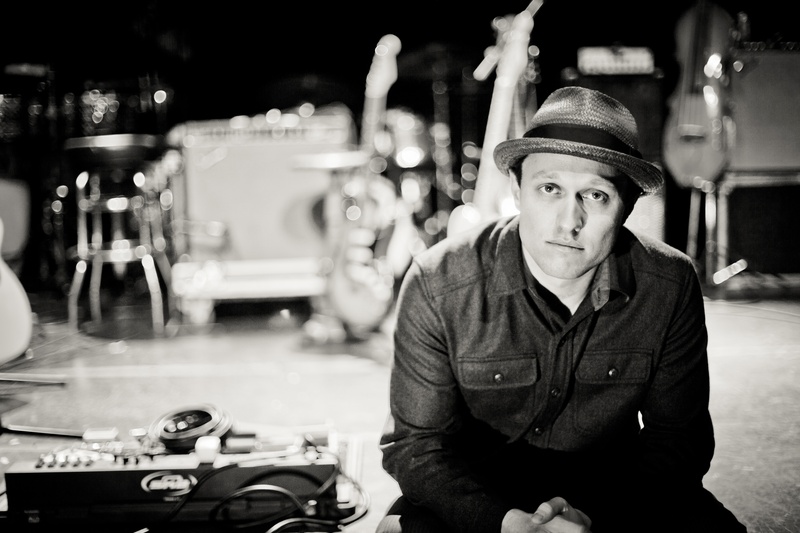 While his 2010 album Heavy On the Vine allowed for more exploration of sound, Montbleau’s most recent album – For Higher – was born of a rather different creative process. To record For Higher, Montbleau took his biggest leap of faith yet and moved to New Orleans to begin playing with a band he’d just met. Montbleau began in New Orleans by contributing songs to Backatown, an album by trombone and trumpet player Trombone Shorty. It was in connection with that project that he caught the attention of producer Ben Ellman. Ellman, formerly a saxophonist for the New Orleans funk and jazz band Galactic, went on to produce For Higher, as well as Montbleau’s newest album, set to be released early next year. After a full year of recording and touring, Montbleau is enjoying some time at home in Massachusetts. Currently living in Lawrence, he’s less than an hour drive from his hometown of Peabody. While home, Montbleau and his band will continue to play a full schedule of shows. After a June performance at Bonnaroo, he returns to join in the Lowell Summer Music Series at Boarding House Park on August 2. In the run-up to a busy summer, Montbleau is enjoying a change of pace, playing solo acoustic shows at more intimate venues here on the East Coast before plunging back into full band sets. Harnessing the energy of his crowds isn’t going to be a problem for Montbleau. Making time during the show for those who want to get hitched, however, could be. “If it keeps happening I might start having to say no,” he said in jest. Or maybe not. Either way, Montbleau’s performances are keeping audiences engaged. To purchase tickets to Montebleau’s performance at the Lowell Summer Music Series, visit http://www.lowellsummermusic.org.